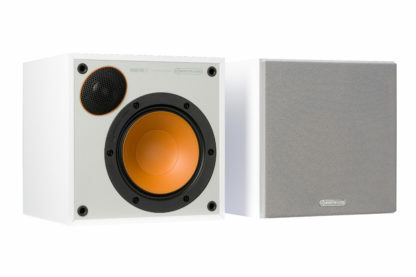 The compact Monitor 50s are designed to be placed in a bookshelf and they deliver a surprisingly powerful performance for such small speakers. 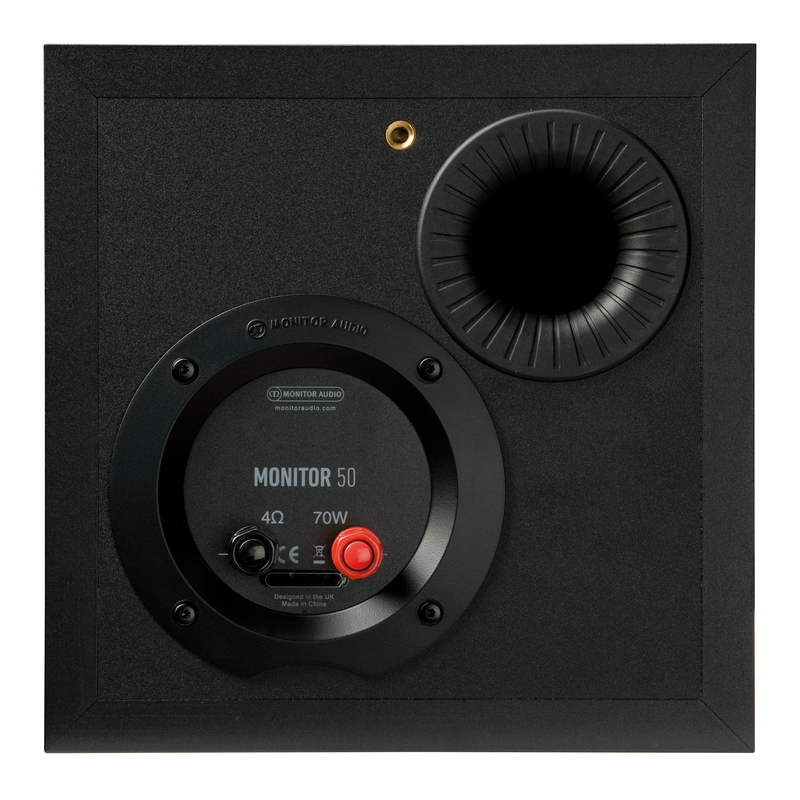 The modern square cabinets of Monitor50 complements the 51/2″ MMP-II drivers and 25 mm black C-CAM tweeters. 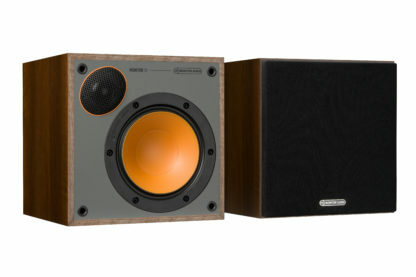 By placing the tweeters in the top corner of the speakers, Monitor Audio has been able to reduce the size of the Monitor50 cabinets and give a unique appearance. The compact dimensions, driver technology and rear port allow the speakers to perform in the most confined locations. The cabinet is rear ported, so the output is well damped and is suitable for placement close to a wall. 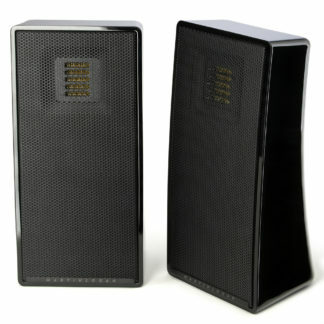 A single set of high quality gold plated binding posts provide the connections for an amplifier. 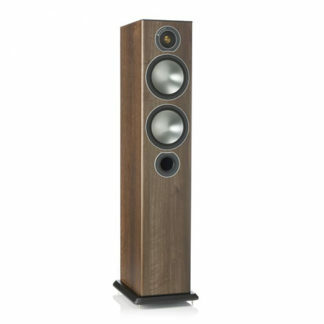 The Monitor50s certainly sound bigger than they look. And they look discrete and tidy. Classic Monitor Audio speaker design with a playful twist. The retro cubic cabinet harks back to the experimental speakers of the 1960s and 1970s. 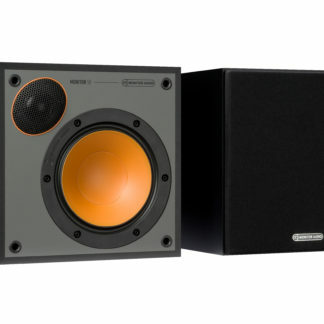 Orange translucent MMP II (Metal Matrix Polymer) driver cones, and orange accents add a modern, fun and stylish touch. 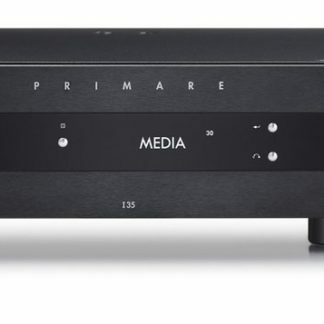 High overall impedance (8 ohms) so they are easy to drive with compact amplifiers. Moniotr 50 shows 8 ohms impedance and handles vup to 70 watts RMS. 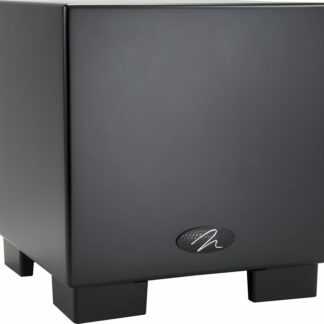 Monitor Audio recommends amplifiers between 15 and 70 watts RMS output. Monitor50 external dimensions are 206h x 206w x 238d (mm), weight 3.56 Kg each.